Poor Lia is completely exhausted. She is 7 months old now and she has carried a great weight on her shoulders since the day she was born. She has, with almost no assistance, carried the burden of making sure that I don’t get more than four hours sleep at a time. Well, as you can imagine, seven months of that can take its toll on anyone. So last night, Lia just couldn’t cope with the responsibility any more. We have moved her into a bedroom with Libby this week and both of them have coped admirably, but it is clearly tiring work because last night, Lia woke up as normal as soon as I had crept up to bed at about 1 am when I’d finished working. But this time, that was the last I heard from her until just after 7 this morning when they both woke up. Fortunately for all concerned, Pluto was on hand to take on the baton. Last week when we were at playgroup, I had a phone call from my dad to say that Pluto had popped round. This was odd, since I wasn’t aware that he could get out of the garden. This happened a couple more times, with Pluto being locked in various places and transforming himself into Houdini before appearing at my dad’s house. The icing on the cake came a couple of nights ago, when I got up with Lia at about 3 am and Pluto wasn’t there. After searching the house and back garden, I got dressed to go and walk the neighbourhood looking for him only to open the door and find him on the front doorstep. He had managed to get out of the back garden, but couldn’t get back in again. So until his escape route has been blocked up, the dog flap is out of action and Pluto is having to come and wake me up whenever he wants to go out. I’m pretty sure he and Lia are plotting my demise but on the plus side, at least poor Lia got a day off to catch up on her sleep. Back to it tonight no doubt. 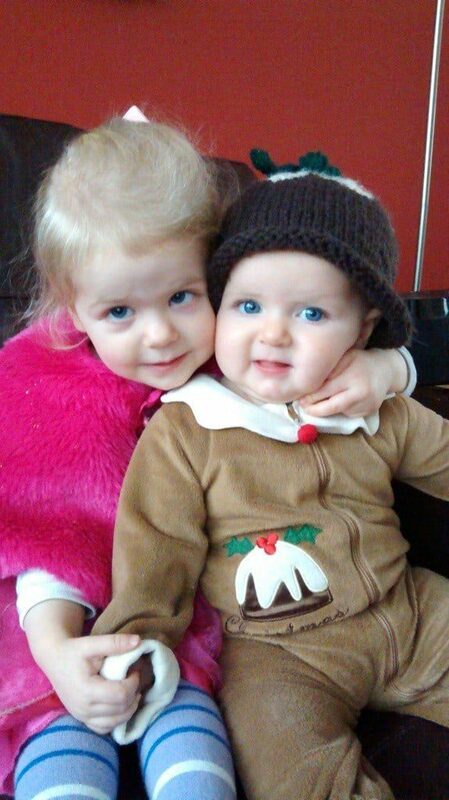 And for this week’s Thursday Photo, we have a Christmas Pudding and a fairy. Please, anyone who is moaning about having to photograph babies or toddlers, spare a thought for the fairy and Christmas pudding photographer, because these sneaky little chaps are a nightmare. Have you ever tried to get a fairy and a Christmas pudding to sit still and smile? I would advise against it.